Who else is excited about spring being just around the corner? The though of all those little bulbs pushing through the surface of the soil and petals opening to display an array of colours and shapes. 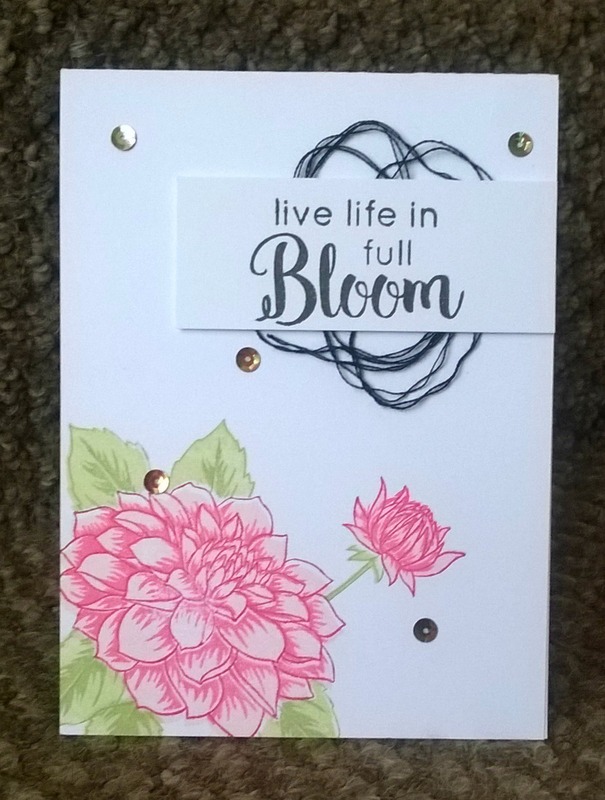 Whilst waiting for the flowers to bloom I decided to created some of my own. 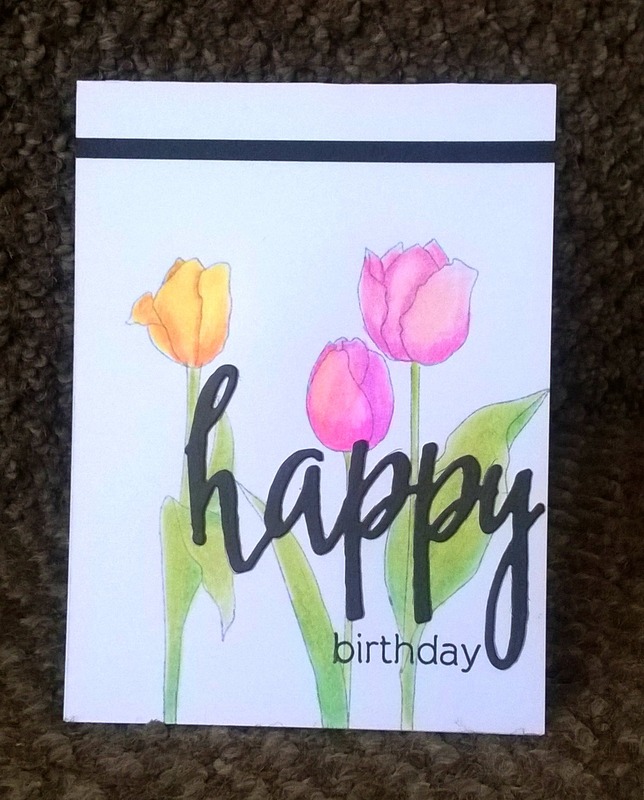 The tulips in this card are coloured with pencil, something which is new to me. The dahlia was stamped using a layering stamp and tonal inks, I love how crisp and clean it looks. I think I may need a trip to the garden centre to plan my flower beds.